During spring break, many families try to squeeze in a getaway. 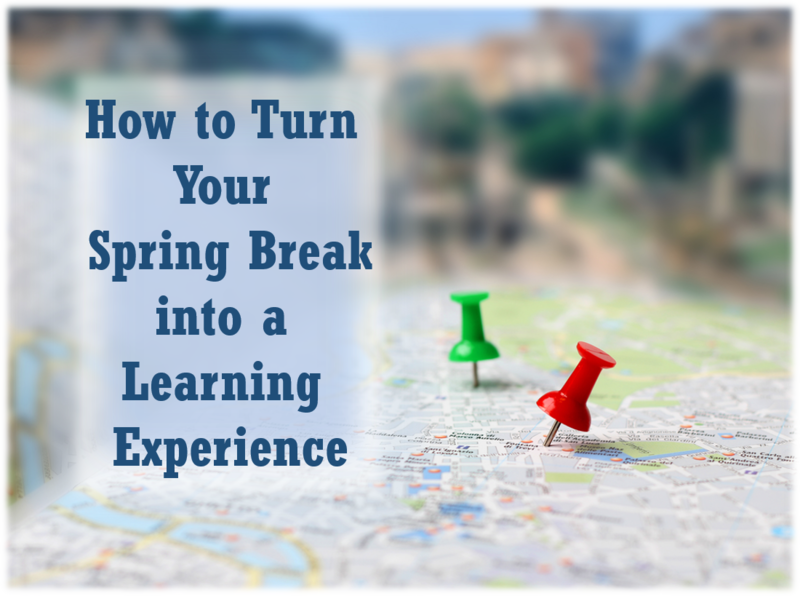 One way to have a fun family adventure is to incorporate education into your trips. There are so many places across America that offer a terrific spring or summer-like atmosphere, while opening your children’s eyes to the history of this country and other learning opportunities. Numerous museums across the country offer overnight excursions inside of their buildings! What better way to become acquainted with different aspects of culture and history than to sleep next to exhibits and artifacts? Three different Smithsonian affiliated museums in the Washington D.C. area offer sleepovers, with dates scheduled through the end of August. The American History Museum, Natural History Museum, and the Air and Space Museum’s Udvar-Hazy Center all offer overnight stays that includes tours, games, crafts, and more. For families in the Northeast, head over to Pier 86 on the west side of Manhattan and spend the night on the Intrepid! The Intrepid Sea, Air, and Space Museum offers fun activities, including a ride in a flight simulator! The Field Museum in Chicago hosts “Dozin’ with the Dinos”, a nighttime exploration with museum scientists that make the exhibits come alive! There may be no better way to understand what bygone eras were like than to actually experience them. These attractions bring history to life by showing what daily life and major events were like in a specific period. One of the best known of these types of attractions is the world’s largest living history museum, Colonial Wiliamsburg. It features hundreds of reconstructed and historically furnished buildings, with costumed guides who tell stories of the people who lived there in the 1700s. Columbia State Historical Park is a living gold rush era town. It contains “residents” in 1850s attire, and tons of exhibits, activities, and experiences you would find in a gold rush museum. Connor Prairie Interactive History Park in Fishers, IN recreates life on a rural community in the 19th century. This attraction also offers a look at Native American life at this time. Kids will love the interactive nature of life on a prairie, as they can work like a farmhand, become a craftsman, or ride in a helium filled balloon high overhead. We’ve seen them on television, we’ve always meant to go there, but many Americans have not seen some of our most famous landmarks. The stories and the history behind these places and modern marvels are well worth the trip. The Gateway Arch in St. Louis, MO is a magnificent architectural creation that also serves as a monument to Thomas Jefferson’s plans for American expansion and the role of St. Louis as a gateway to the west. Mount Rushmore in Keystone, SD offers so much more than the breathtaking mountain sculpture of four of America’s presidents. Vacationers can learn about the natural history of the surrounding area, as well as methods used to sculpt the chief executives. There is also ample information available on the Native American tribes who called this area home. It’s never too late to enjoy the summertime, and it’s never too early to refocus on education and learning. Make a last ditch effort to get away and take advantage of all of the creative educational – and fun – opportunities our country has to offer.